Deaf since early childhood, Caleb Zelic is used to meeting life head-on. Now, he’s struggling just to get through the day. His best mate is dead, his ex-wife, Kat, is avoiding him, and nightmares haunt his waking hours. But when a young woman is killed, after pleading for his help in sign language, Caleb is determined to find out who she was. The trail leads Caleb back to his hometown, Resurrection Bay. The town is on bushfire alert, and simmering with racial tensions. As Caleb delves deeper, he uncovers secrets that could ruin any chance of reuniting with Kat, and even threaten his life. Driven by his own demons, he pushes on. But who is he willing to sacrifice along the way? The second Caleb Zelic thriller from the author of Resurrection Bay – Winner of the Ned Kelly Award for Best First Fiction, and Davitt Awards for Best Novel, Best Debut and Reader’s Choice. The continuing narrative of the chaotic life of Caleb Zelic, private investigator, is filled with suspense, mystery, anger, social commentary wit, humour and many exquisite moments. This is a portrait of a fractured love, a fractured life with many references to Picasso’s Guernica; violence, chaos, war, flames…the suffering of innocents. The writing is evocative and fast paced. 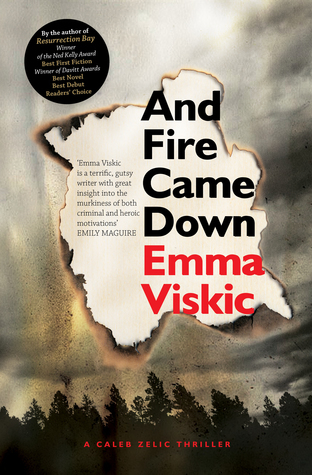 Themes of family, drug reliance, race and identity intersect and explode in small town contemporary Australia. This narrative is fraught with regrets and what ifs, there are many stories left unfinished, many moments of heartache and pain yet there is a glimpse of potential, of a brighter future, of redemption (for some)…book three will be amazing! “Not together, not apart, still caught between breaths.” P.151 Exquisite and powerful writing. Emotionally compelling and poignant, The Lone Child is a haunting follow-up novel from Anna George, author of the critically acclaimed debut What Came Before. Over the space of one Easter weekend on the idyllic Mornington Peninsula, a moral dilemma forces a well-to-do new mum to confront her preconceived ideas of how the other half lives and experiences motherhood. Abandoned by her partner while she was eight months pregnant, Neve Ayres has sought refuge with her newborn baby in her clifftop home in scenic Flinders. Already struggling to cope with the sleepless haze of motherhood, Neve finds her world turned upside yet again when an unwelcome visitor appears in the night, leaving much more than just a hole in her beautifully crafted stone wall. Sal Marioni is struggling to cope with the recent death of his mother when he receives the unexpected and urgent phone call. A woman from his past – the enigmatic Neve Ayres – needs his help. Intrigued despite himself, Sal soon finds himself swept up in the mystery surrounding the lonely and exhausted new mother. Leah Chalmers is another struggling single mother. With two young children, no money and nowhere to go, she is desperate to pull together the threads of her life so that her family can be safe and sheltered over the Easter long weekend. However when disaster strikes, who can she turn to? 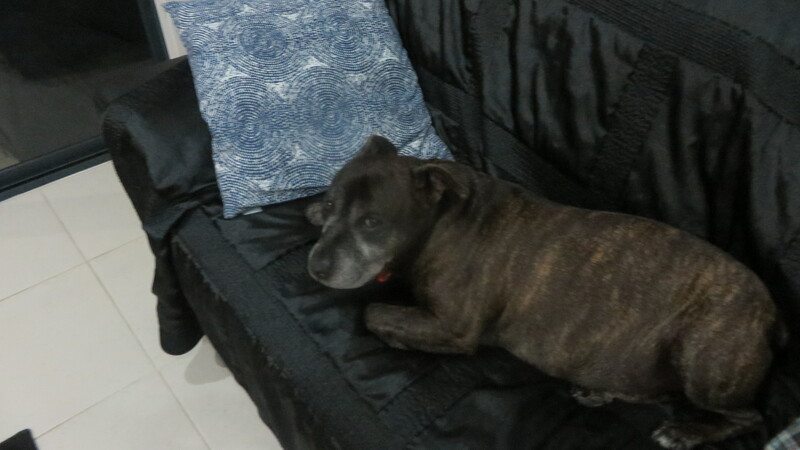 A mixture of shame and fear grips her as she battles to seek help for her young family. Just as What Came Before compassionately explored issues of domestic violence and abuse, The Lone Child similarly hits a collective nerve with a probing examination of child welfare and motherhood, with all their moral and ethical ambiguities. 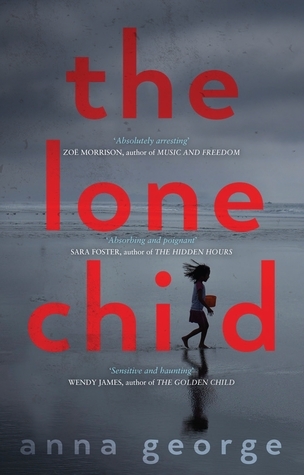 Exploring pain, judgement, love and loss, The Lone Child is a chillingly honest depiction of the bewildering and often isolating exhaustion of motherhood, and the fraught bonds between mother and child. WOW!!! Such exquisite writing packed with feelings. Motherhood – what a complicated, exhausting, rewarding, frustrating, emotional roller-coaster of a journey it is and Anna George captures the nuances of this very individual yet collective experience so well. 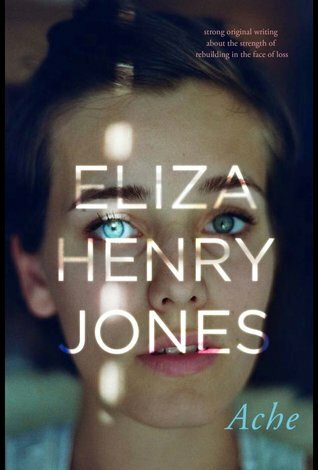 The narrative takes place in an isolated wintry landscape – a holiday maker’s idyll in the summer, almost a different territory in the wet and sombre wintry days – weather to match the bleak mood of the protagonist – Neve Ayres – so bleak the narrative has a somewhat gothic feel. The landscape plays such an important role in this narrative – defining mood, creating atmosphere and drama, all captivatingly written. Motherhood is depicted in an honest, brave and scarily accurate manner, it seems George has managed to pick your mind and reveal a mother’s inner most fears and muddle of feelings. These are explored in dual settings – motherhood is explored where material wealth is no barrier to a potential favourable lifestyle juxtaposed against the experience of motherhood lived in poverty and homelessness– such different lives but the underlying emotions and connection between mother and child, bridge the social gap. Isolation doesn’t care about social position. Add to this rich blanket of emotions the spectre of death and a discussion surrounding mourning and a spooky undercurrent haunts the pages and culminates in an ending that is surreal and powerful. So many emotions on these pages, such an incredible read! I have one question – what next can we expect from the writer Anna George? Two wonderful thought provoking books covering such different themes…what next? Judith Fordham has worn zebra –print shoes into a courtroom, represented transsexuals, bikies, alleged murderers and rapists, and raised four children on her own…this is her story, from early life struggling on welfare to becoming a barrister and Associate Professor of Forensics. Her bold approach to life and law is inspiring, and her stories about the world of crime and justice are fascinating. From a well-known baby-shaking case to the forensic science of decomposing flesh, this is a no holds-barred account of crime and the law. And then there’s the shoes. In lighter moments, she tells of suing a pink shoe phone in her early career (much to the annoyance of her then boss). Now she has the State Director of Public prosecutions sipping champagne out of her designer shoe. Judith Fordham has managed to find fun outside the dark world of forensics and crime. Reading an honest and open creative memoir is a joy, a little like sitting with an old friend, enjoying afternoon tea and reminiscing. 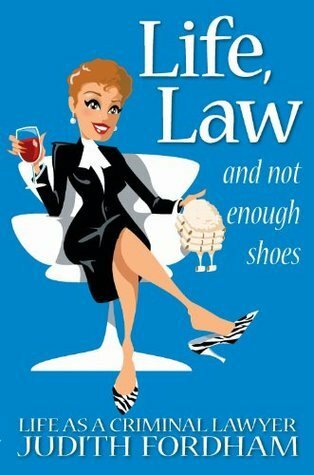 Life, Law and Not Enough Shoes is one such read – some laugh out loud moments, a peak at the judiciary system from within, some heartrending moments and a quick look at an inspiring life – I almost want to go back to university to learn forensics, almost 🙂 Thoroughly enjoyable and entertaining reading. A year ago, a devastating bushfire ripped Annie’s world apart – killing her grandmother, traumatising her young daughter and leaving her mother’s home in the mountains half destroyed. Annie fled back to the city, but the mountain continues to haunt her. Now, drawn by a call for help from her uncle, she’s going back to the place she loves most in the world, to try to heal herself, her marriage, her daughter and her mother. A heart-wrenching, tender and lovely novel about loss, grief and regeneration, Ache is not only a story of how we can be broken, but how we can put ourselves back together. I have had great difficulty trying to find the right words to describe my reaction to this book. It was an amazing read – written so beautifully, the writing seducing the reader to read more and more…and the feelings it evoked…an abundance of feelings. The characters so credible and the situations they face almost unbearable at times and almost unbearable to read such is the empathy I felt for these paper people. Survivor guilt, grief, PTSD…this book covers it all yet despite the challenging scenarios presented in this narrative it is not a negative or depressing read, in fact it is full optimism. Read and discover your new favourite author. A unique and special memoir. A journey of staying in once place, told through trees. Each chapter of this nature-writing memoir explores a particular species of tree, layering description, anecdote, and natural history to tell the story of a scrap of forest in the Sunshine Coast hinterland – how the author came to be there and the ways it has shaped her life. In many ways, it’s the story of a tree change, of escaping suburban Brisbane for a cottage on ten acres in search of a quiet life. Of establishing a writers retreat shortly before the Global Financial Crisis, and losing just about everything. It is also the story of what the author found there: the literature of nature and her own path as a writer. I am a fan of the Inga Simpson’s previous works – Nest and Where the Trees Were (I have yet to read Mr Wigg – a book which has garnered much praise). I now have a little understanding of where those narratives came from, yet I was surprised to discover the depth of passion that Inga Simpson has for the environment. I don’t think I have ever met anyone with such passionate views, with such determination, with such a strong bond with the landscape they live in, a landscape that has determined so much of Inga Simpson’s life and lifestyle; quite amazing! 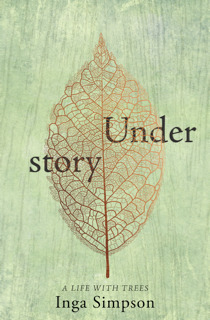 Every chapter of this engaging memoir connects the reader to a particular species of tree, the memories it evokes, personal anecdotes shared, the chaotic life of a writer juxtaposed against the solidness, the strength and longevity of the tree… what a unique way of looking at and presenting, Inga’s world to her readers. Take a hilarious road trip into the Australian outback in this witty romantic comedy, with an enticing family mystery thrown in! When Amber Jones wakes up in her sister Sage’s speeding car, with no idea how she got there (though the hangover is a clue), all she wants to do is go home. But Sage is convinced a road trip to Alice Springs will finally answer the burning question: who is Amber’s father? Because nine months before Amber’s birth, her late mother Goldie made the same trip . . .
Armed with just a name and Goldie’s diaries, Amber agrees to search for a man she’s never met in one of the world’s biggest deserts. And that means spending two weeks in a convoy of four-wheel-driving tourists and camping in freezing desert nights. To make matters worse, her fellow travellers hate her and the handsome tour leader Tom thinks she’s an alcoholic. But slowly the desert starts to reveal its secrets – and Amber must decide which horizon to follow . . . Nothing seemed to go right for Amber right from when they met up with the tag-along group in the little town of Denman in NSW. Each and every member of the group thought Amber was either crazy, or an alcoholic. And the more Amber tried to get it together, the more it all fell apart. Would their long road trip make things better or worse? Would Amber find her father? And was it possible that she and Sage could be close again? 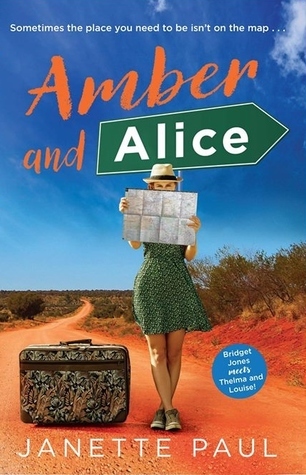 Amber and Alice is a laugh out loud journey through Central Australia from Sydney to Alice Springs, with towns like Dunedoo, Coober Pedy and Uluru along the way. 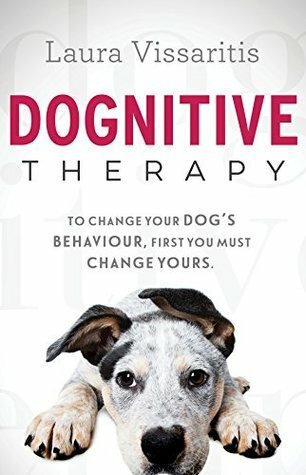 Aussie author Janette Paul has written a wonderful novel about finding your inner self, and the trouble you can get into along the way. I loved it! I found myself having to smother my laughter quite a number of times – it was such fun! 5 stars! Highly recommended. With thanks to Penguin Random House AU for my ARC to read and review.